Geoff Brown sets his phone on Roaming and meets up with Heiki Sorsa and Nick Hyne to eat some rice and meat, drink some beer and sake… And also ride some epic Japanese pow. Karate chopping boards & clearing out early season cobwebs is how Geoff Brown & his friends including coach Duncan Mainland get ready for the winter. The boys enjoy good powder days riding park to pow laps in the hopes of finding their backcountry legs… but are quickly reminded that the backcountry is not the same as the park. 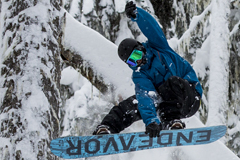 Without a doubt Dakine have the most extensive range of technical snowboard backpacks for every situation and sport. The lineup of snow Packs is no exception with a range of sizes for day hikes or overnight touring. With endless sizes, features and colour options here are a few to cover you in most situations. 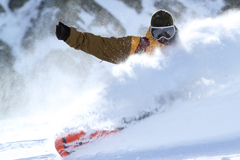 Backcountry use has gorwn at least 40% over the past few years making it the fastest growing segment of the snowsport industry, but are people ready to accept their responsibilities when they step beyond the boundary? Snow resorts are at the front lines of backcountry access to winter wilderness and they play a vital role in backcountry safety.